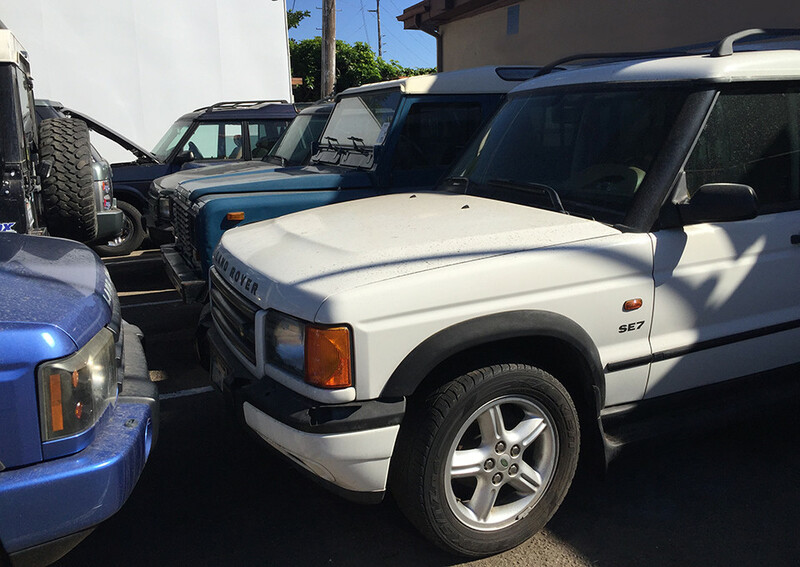 Since 1983, We Have Served San Diego’s British Automobile Owners. 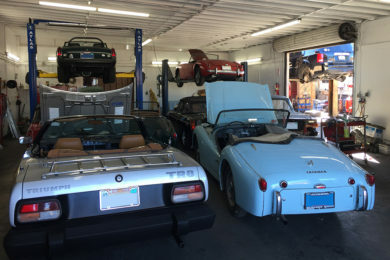 Other British car repair shops will tell you that they meet factory requirements and provide great tune-ups and scheduled maintenance – so will we. But we go further, providing same-day repairs for most customers and keeping rates competitive, even when it means working longer hours. We do all this because we love your car (almost) as much as you do. When you bring it in, we’re eager to get our hands on it and even more eager to get it back in yours. Indisputably, we know your car. 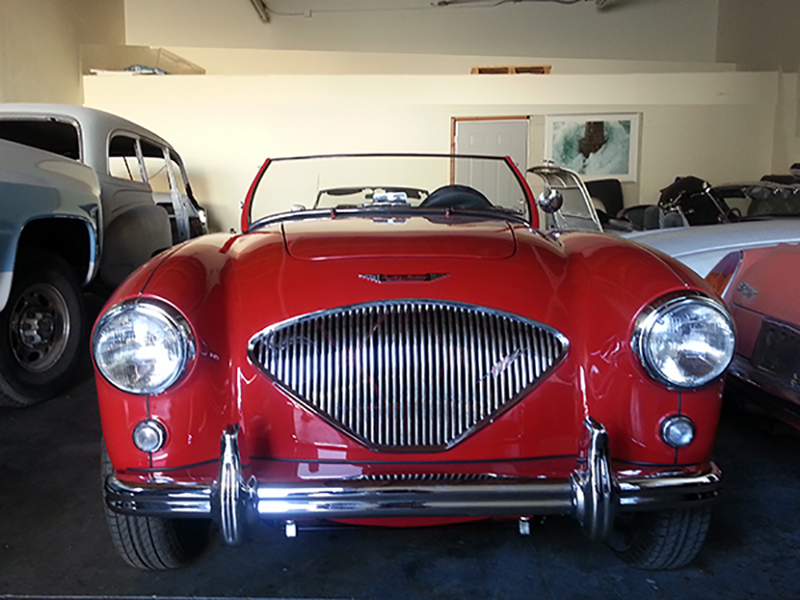 Between the two of us, we come with 50 years of British car repair experience. 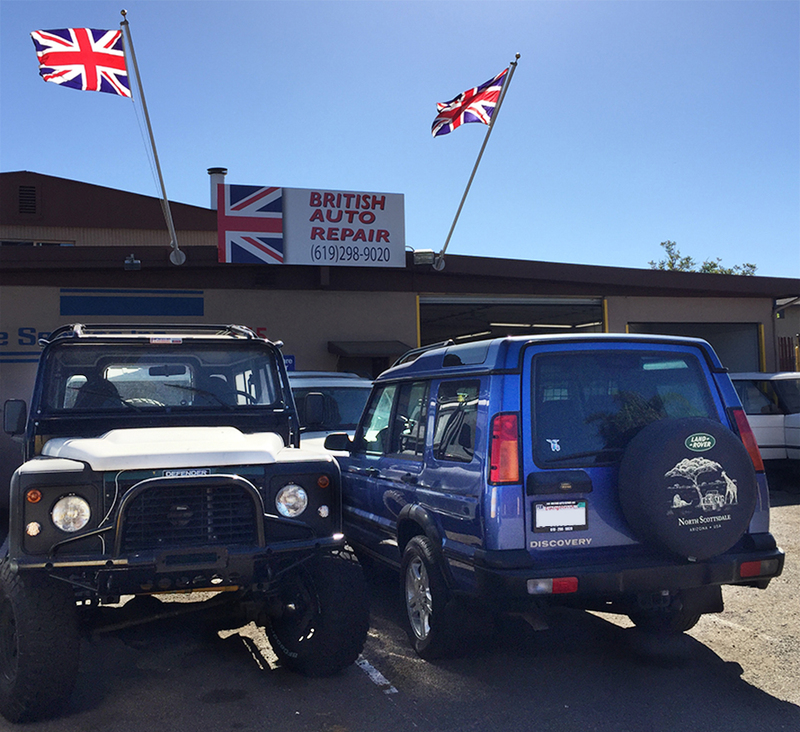 We fix all British makes and models, specializing in Jaguars and Land Rovers. And MGs? We don’t just fix them – we race our own. 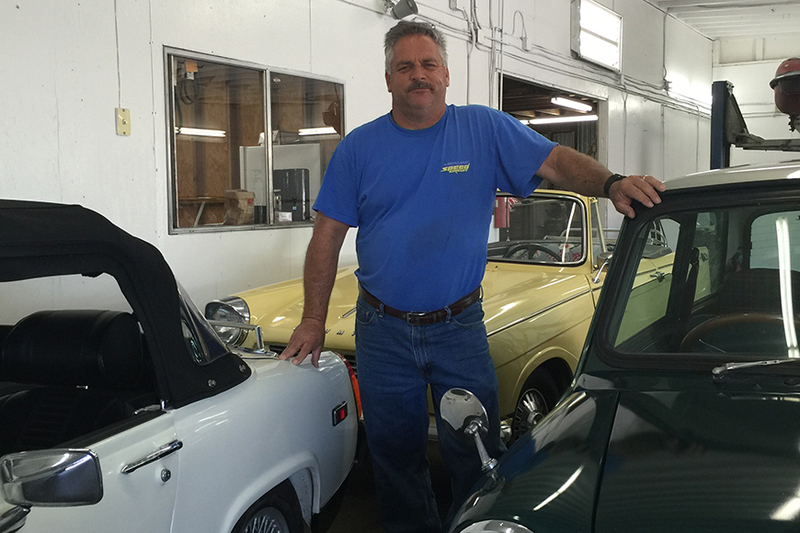 The years have taught us that British car repair clients, like their cars, keep busy. 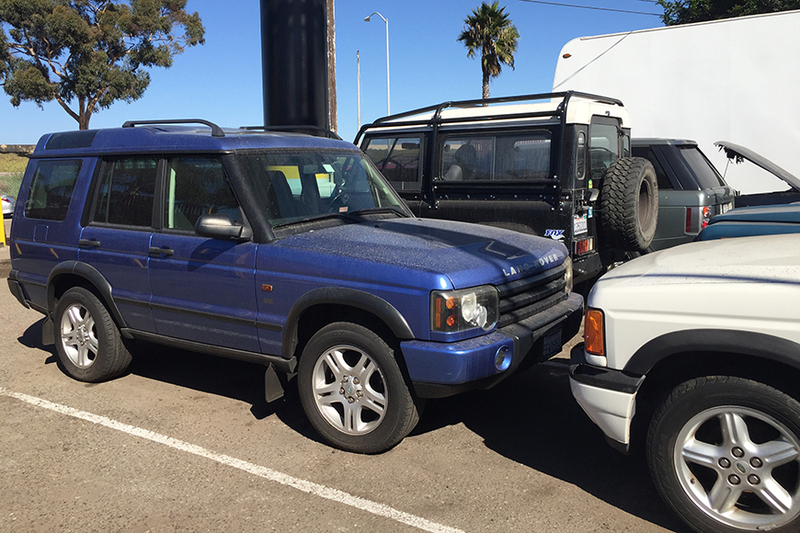 That’s why most of our Land Rover customers enjoy same-day service, and we work on other cars quickly and efficiently. After 30 years in the business at our current location, we can diagnose problems quickly and accurately by applying our prior experience as well as the most sophisticated computerized diagnostic evaluations. There is nothing more important than customer service. It’s that simple. We stay open on the condition that we’re doing everything we can to make and keep customers happy. We provide speedy, exceptional repairs as well as prompt calls to let you know as soon as your car is ready for pickup. As far as we’ve seen, we offer the best prices in San Diego. If you see better prices somewhere, let us know. We work hard to stay competitive. Most important, we are also highly specialized – we’ve learned British cars inside and out, and we know how to make them last. We don’t service other vehicles, but we’re happy to recommend a shop that does. Whether you’re our customer for a day or a lifetime, you will always get our expert service and utmost respect. That’s just how we do things. Finally, what keeps us running is our love for your car. We treat your car as if it’s our own, because there’s nothing more beautiful than a car that looks good and runs smoothly for a long life of service to its owner. In the end, we serve your car well because we want it to serve you well. At British Auto SD, we love what we do. It shows in the life and health of our customers’ cars. "Paul really knows British cars! What a difference from my last mechanic who had to send out my generator to be fixed-took at least two weeks. Paul fixed it within the hour! Such a nice guy too!" "Paul thanks for a great repair job you guys are honest and professionals what more can I say?" "I came in today because my 05 Range Rover was about to overheat. They looked at it and diagnosed the problem within minutes. They repaired the hose and did various tests. They eased my concern and doubts. Very professional and excellent customer service. I will be coming back next week to have some preventive maintenance done. 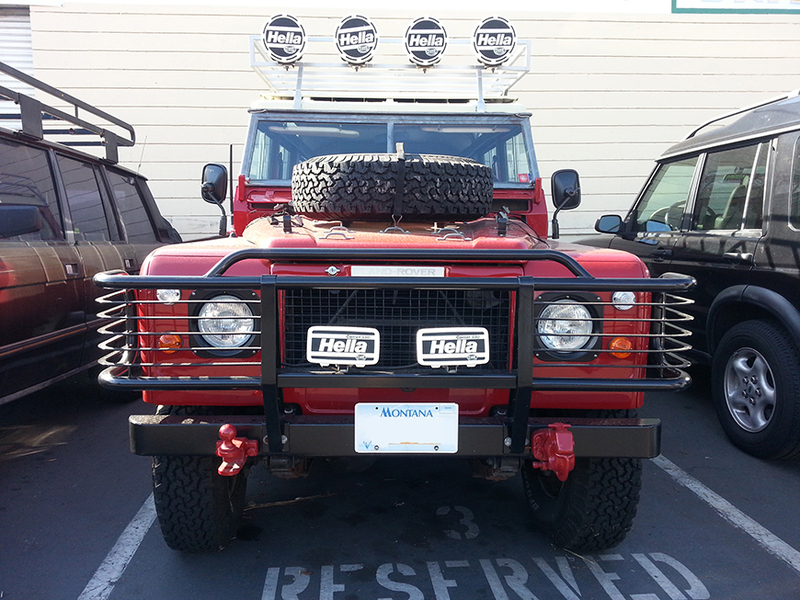 Thank you Paul"
"I have taken my vehicle here several times and I could not be happier. Paul is amazing and extremely focused on customer service. He has gone out of his way to make sure parts are to his shop in a timely manner in order for repairs to be done quickly. Pricing is beyond reasonable. I trust Paul 100% and would highly recommend checking him out!! It's refreshing to find a place such as this....quality service, superb customer service, friendly, honest, and trustworthy!" 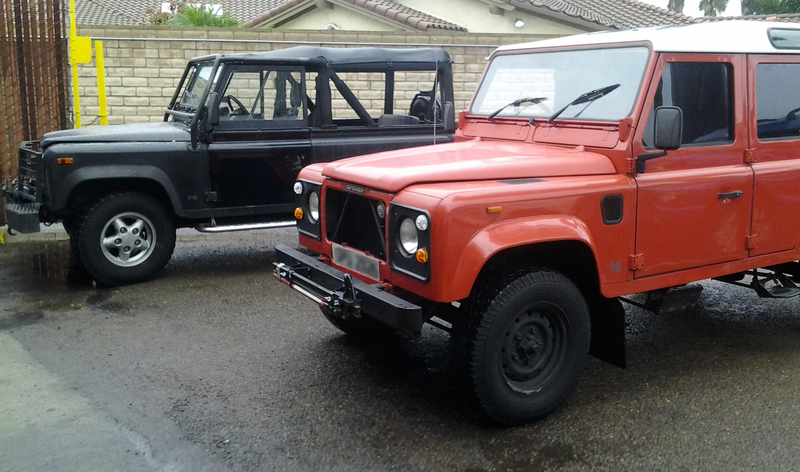 "The owner Paul is friendly, professional and honest. He truly went above and beyond my expectations. Thank you and I will definitely be taking my car back to him." "Paul (the owner) is extremely knowledgable and helpful. He was very accommodating and flexible with my schedule. Honest and passionate about British cars. I'd certainly recommend working with him and the team at British Auto Repair. A+"
"Paul is a guy you can trust to give you an honest quote and back it up with excellent service. Highly Recommend."